B.S., Electrical Engineering, University of Wisconsin-Madison, 1971. Electromagnetic Chirality: applications of chirality to problems of scattering, guidance, absorption, and radiation; chiral coatings and absorbers; antennas and chiral material; chiral waveguides; analytical and numerical methods. Fractal Electrodynamics: interaction of electromagnetic waves with multiscale fractal structures; wavelet analysis of fractal structures; fractal antennas and arrays; rough surface scattering; fractal superlatices. Topology and Scattering: scattering from knots, braids and links; role of polarization in remotely determining topology. Inverse Scattering, Remote Sensing and Imaging: inverse scattering; microwave and optical imaging; algorithms and analysis; pattern recognition. H. N. Kritikos and D. L. Jaggard, editors, Recent Advances in Electromagnetic Theory, Springer-Verlag (1990). D. L. Jaggard, "Fractal Electrodynamics: Wave Interactions with Discretely Self-Similar Structures," pp. 231 - 280 in Symmetry in Electromagnetics, C. Baum and H. Kritikos, editors, Taylor and Francis Publishers, Washington, D.C. (1995). D. L. Jaggard, "Fractal Electrodynamcis: From Super Antennas to Superlattices," pp. 204 - 221 in Fractals in Engineering, Vehel, Lutton and Tricot, editors, Springer-Verlag, Berlin (1997). D. L. Jaggard, "Prolog to Special Section on Fractals in Electrical Engineering", Proc. IEEE 81, pp. 1423-1427 (1993). "Distributed Feedback Lasers in Chiral Media", IEEE J. Quant. Elec., 30, 339-345 (1994) (with K. Flood). "Backscatter Signature of Knots", Opt. Lett., 20, 115-118 (1995) (with O. Manuer). 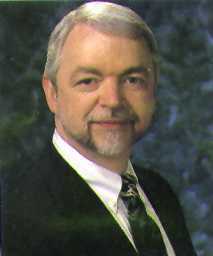 Fellow of the IEEE (1991); Fellow of the Optical Society of America (1995); Member of editorial board of Proceedings of the IEEE (1995-); Associate editor of IEEE Transactions on Antennas and Propagation (1995-); editor of the Journal of Electromagnetic Waves and Applications; Christian F. and Mary R. Lindback Award fo r distinguished teaching (1987); S. Reid Warren, Jr. Award for distinguished teaching (1985).